Who Should Buy a Latte Machine? Coffee doesn’t always have to be bold, strong, and intense. Sometimes we just want something light and heavenly creamy. And that’s when latte makers come in handy. Today, I’ve gathered 7 best latte machines, each of which is able to brew coffee and froth milk like a pro. Let’s see which one will become your personal favorite! 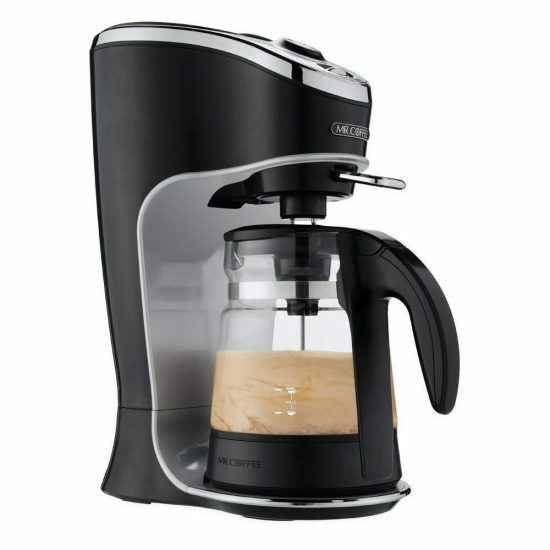 The first item on your list of the best latte machines is this Mr. Coffee carafe latte maker. Being able to brew a full carafe of coffee and automatically frothing milk, this model is perfect for a family of latte lovers, for multiple coffee drinkers, or for a solo user who cannot live without lattes. The way it works is extremely simple. You just need to add ground coffee and water into the top reservoir. Then pour the needed amount of milk into the carafe. Press the button, and this home latte machine will do the rest. It automatically froths milk, brews coffee, and turns off once your beverage is done. If you love your lattes or live with someone who does as well, this automatic latte maker with a carafe will most definitely make you happy. This semi-automatic espresso latte machine is the best find for the money. It won’t tear your budget up. However, it will make you great espressos, cappuccinos, and (of course) lattes every time. This machine by DeLonghi brews espressos and allows users to steam the milk in order to make delicious lattes and cappuccinos. It has two separate thermostats that control steam pressure and water temperature separately. This allows for an optimal brewing process. This model is perfect for people on a tight budget who still want to enjoy good-quality coffee. It works fast and allows you to make different beverages. To me, that’s a steal for such a price! The next item on our list of the best latte machines is this luxurious, semi-automatic espresso maker by Breville, which includes a high-quality milk steamer for your perfect lattes and cappuccinos. It was built to last and to brew excellent-quality coffee. With a high-pressure pump system, this model brews single and double espressos. It uses low pressure to pre-infuse the coffee for the richest flavor. The milk steamer is automatic and creates dense, textured micro-foam, ideal for lattes. It has a 360-degree swivel design, which makes it very easy to use. Many entry-level latte machines feature steam wands that have a black plastic end. While those are capable of steaming the milk properly, they aren’t the best choice for more advanced or demanding users. So, once you’ve finished your beginner stage in the world of coffee making, upgrade to something with a full-metal steam wand (which has (preferably) 2-4 steam holes). 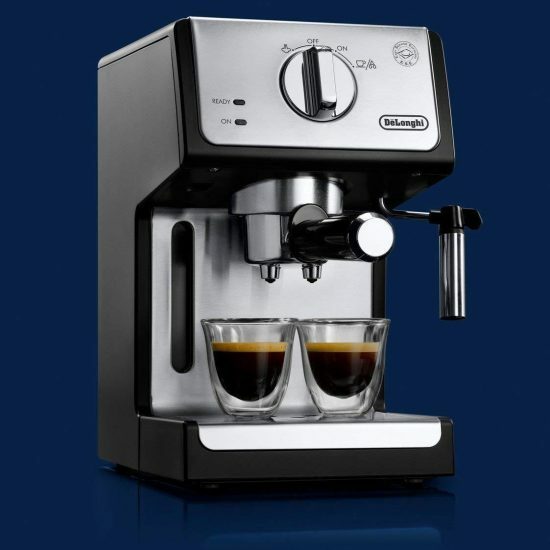 If you are really passionate about coffee and want only the best of the best, then this luxury espresso and latte machine by Breville will definitely satisfy your coffee needs. It has everything you might want, and maybe even more. If you think that a lazy cup of coffee cannot taste great, think again. The DeLonghi Dolce Gusto brews lattes with just a press of a button, but each beverage tastes amazing. This is the best capsule-based latte machine you can get for the money. Working with airtight capsules, the DeLonghi Dolce Gusto uses the 15-bar pressure system (automatic) to brew beverages. It heats up rather fast and features a large water reservoir, which is ideal for families or users who drink a lot of coffee. You can also adjust the size of the cup and pick from 7 different volumes. The drip tray is height-adjustable, so this home latte machine can accommodate pretty much any cup or even a travel mug. This automatic latte maker is ideal for people who appreciate a good-tasting coffee, a variety of choices, and a fast brewing process. The DeLonghi Dolce Gusto is cheaper than going to the coffee shop (in the long run) but much more convenient. 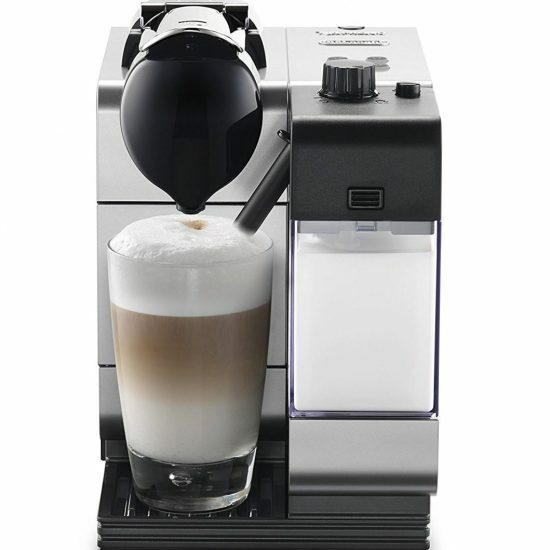 This is a really no-fuss model, which makes it the best automatic latte machine for home. It will froth the milk and add the needed amount of it to your beverage, which means you don’t have to worry about pretty much anything. The Café Barista implements the 15-bar pressure system. It brews rich, flavorful espressos to which you can add milk (well, the machine adds milk, but you get the picture) and make latte or cappuccino. This model comes with a recipe book, which may come in handy when you feel like experimenting with your beverages. Overall, this is a great machine, perfect for latte lovers. It will do more than half of the work for you, and you’ll still end up with a nice cup of coffee. This item takes the top place in many latte maker reviews for a number of reasons. It has a compact design and brews excellent coffee. 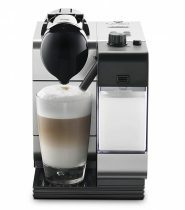 Additionally, it’s rather reasonably priced, which makes it one of the best automatic latte machines for home. Thanks to the integrated manual steam wand, this coffee maker by DeLonghi is suitable for different beverages, including lattes. It heats up fast and brews coffee in different quantities. The steamer is powerful and froths milk fast, creating a dense, long-lasting foam. The espresso filter holder works with ground coffee and ESE pods, which is quite convenient. Milk also plays a very important role, not just the espresso base. You can’t heat it too much because this might actually make the milk lose its sweetness. And it might get even worse: you can burn your milk, which will result in a very unpleasant flavor. The optimal recommended temperature is 165 F, so if you can, stick to it. If you need an entry-level coffee maker that packs great features and offers good value for money, this model would definitely suffice. 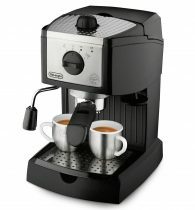 The last item in my latte maker review is this Nespresso Lattissima machine by DeLonghi. Being among the best user-friendly models, it brews beverages with a touch of a button. It has intuitive controls and doesn’t even require a learning curve for you to start using it. The Lattissima coffee maker uses the high-pressure system to extract espresso, which results in full-bodied, rich coffee. Use the automatic frother, and you will get your perfect latte or cappuccino. The machine has simple one-touch controls and allows for 2 coffee and 3 milk options. It also heats up really fast thanks to the Thermoblock technology. So, if you can’t start your day without a cup of coffee, you don’t have to wait for too long for it to brew. To be honest, this latte machine really deserves your attention despite its minor flaws. It can offer you the easiest cup of latte every day while still brewing good-quality coffee. If you’re thinking “Why would I buy a latte machine when I can easily get my favorite beverage at a coffee shop?”, then you probably don’t love latte that much. I’m sure you love it. Still, you might be confused whether you should or shouldn’t invest your money (hundreds of dollars, if we are talking about a good latte maker) in a machine when you can simply buy your favorite beverage. You want to save some money. Yes, you will have to invest quite a sum in your new coffee maker, but this will actually save you some money in the long run. You see, while your regular cup of coffee costs around $3.5 (depending on where you’re buying it), the price of your single-serve homemade latte is actually around $0.50-1. You can see the difference, right? You want your lattes anytime. Your favorite coffee shop might never run out of milk and coffee, but it isn’t open 24/7. Additionally, they might not have your favorite type of milk or vegan options (if you need those). When you make your own lattes using your own machine, you can enjoy your favorite beverage whenever you want. You appreciate convenience. There’s nothing better than enjoying your fresh, hot latte while still wearing your pajamas and lunging in your home. That’s what you can do when you have a latte machine. And if you don’t feel like brewing your coffee and learning how to make lattes, there are many machines that can do all the work for you. You just need to press a button. Convenient, isn’t it? You want to be in control. 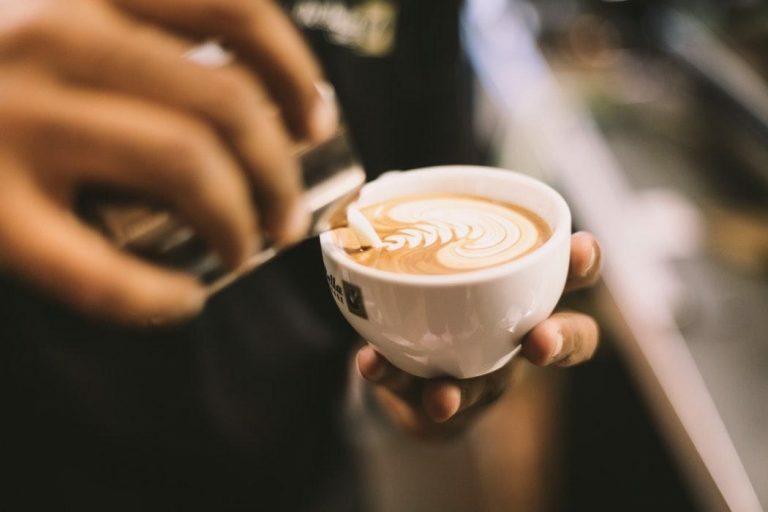 This is simple: when you have a latte machine, you can pick your favorite coffee beans, your preferred milk, and even experiment with different ratios and flavors. You are in full control of your beverages, which means there are more chances they will turn out perfect. So, you are ready to get your first coffee maker. But do you know how to choose the best latte machine? Don’t worry, I’m here to help. Budget. Obviously, you need to decide how much you are willing to spend. This will narrow down the list of your options. Capacity. Do you have one beverage at a time, or do you need a machine that can make multiple lattes at once? Controls and convenience. If you are a beginner and this really is your first latte machine, it’s better to give your preference to fully automatic models (the ones that do the job for you). And once you get the hang of it, you can upgrade to a more advanced model. If you want a more balanced brew and a more flavorful cup of coffee, you should consider a machine that has the pre-infusion function. The way it works is rather simple: it pushes a small amount of water onto the ground coffee before the actual brewing process. This works as a kickstart and prepares the coffee, revealing more of its flavor. Size. Obviously, if you have a limited counter space, a large machine wouldn’t be an option. However, there are many good but compact models, so don’t worry. Cleaning. Some models are a real headache to clean. If you want a fuss-free maintenance, consider models with an automatic cleaning function. Extra features. If your budget allows for it, you can consider models that will make the coffee making process extremely easy. Some of them come with integrated grinders, automatic milk frothers, programmable timers, auto-start features, and so on. It really comes down to your personal preferences. Now, I know that the world of coffee makers might seem overwhelming sometimes. All those features, specs, and names can be hard to distinguish. And the same rule applies to latte machines. 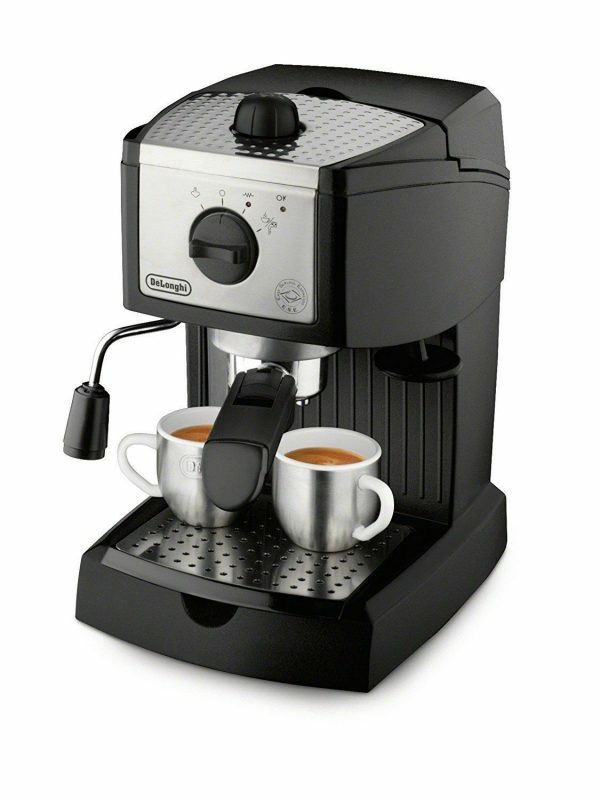 Start by learning about the two main types of all coffee/espresso/latte machines: semi-automatic and super-automatic. Let’s start with the latter. Super-automatic machines do all the work for you. They grind the beans, tamp them, brew espresso, and even micro-foam your milk. Of course, they are on the pricier side. This type is ideal for people who don’t have a tight budget, absolutely cannot live without their lattes, and enjoy occasional espressos. Such machines also allow users to adjust different settings, like brew strength or coffee dosage. Therefore, they are perfect for those who have some experience in coffee making and know exactly what they want. The taste of your latte will directly depend on the coffee beans that you use. It is advised to buy freshly roasted whole-bean coffee and grind it right before the brewing process. This way, your beverage will be rich and full-bodied. Now, when it comes to semi-automatic machines, this is when you get both reasonable price and convenience. These machines usually work the best if you have at least some barista skills (like milk frothing and layering). They don’t do all the work for you (hence the name), so the learning curve might be possible. These machines will not grind and tamp coffee for you, but they will brew excellent espressos. Some of them have automatic milk frothers, others employ manual ones. So, if you want a more affordable option and can make your own lattes, a semi-automatic model will suffice. There are also capsule-based coffee-machines, which are ideal for beginners. They can be considered super-automatic since they do everything. You just need to insert a coffee pod and press a button. There are models for every user and every level of experience! Decide what you personally need and enjoy your fresh lattes! Can I use any milk for lattes? No, actually. It is advised to use 2% milk that was cooled down in a refrigerator. How can I know whether the coffee beans are freshly roasted? Look at them. Glossy and oily beans are freshly roasted. Also, check the roast date. Coffee beans are considered fresh during the first few weeks after being roasted. 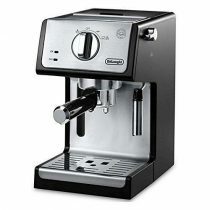 Can I make lattes using an espresso machine that does not have a milk frother? Yes. Basically, a latte is an espresso, to which you add steamed and foamed milk. So, you can brew coffee using your espresso machine, and then foam the milk by hand or using an external manual milk frother. Can I make cappuccinos using my latte machine? Yes, just add less milk and more foam. How do I clean the steam wand? Wipe its exterior after every use. For a more thorough clean, purge it by placing the wand into an empty container or cup and steaming it for a minute or so. What is the correct grind level for lattes? First of all, because lattes are based on espressos, you should figure out the correct grind for espressos specifically. 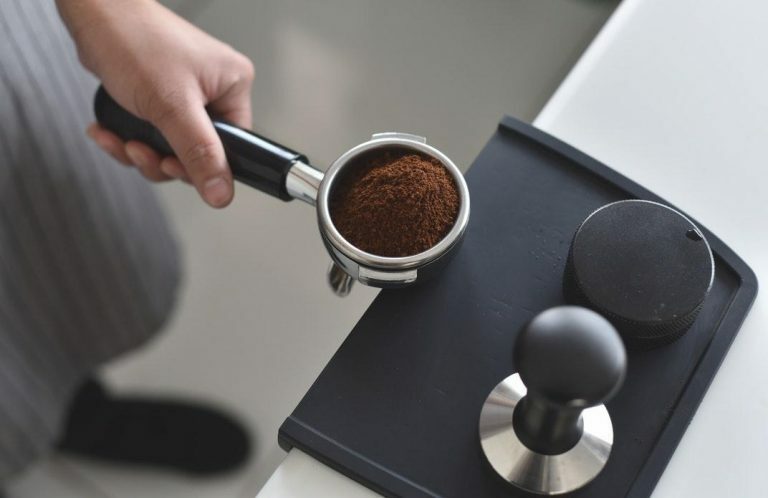 Some experts say that it’s a matter of taste and there’s no “correct” grind level. However, the majority of baristas agree that your coffee should be really fine to make a good espresso. When it comes to latte, I can drink it anytime, anywhere. And if you’re anything like me, this review might’ve been helpful. Do you want to know which latte machine impressed me the most? Well, it was the Mr. Coffee Cafe Barista (model ECMP1000). To be honest, I feel like this coffee maker has everything you might need. First off, it doesn’t cost that much. It heats up fast, brews great coffee, and even froths the milk on its own. Basically, your job is to press the button and enjoy your fresh beverage. To me, that’s a perfect scenario! What about you? 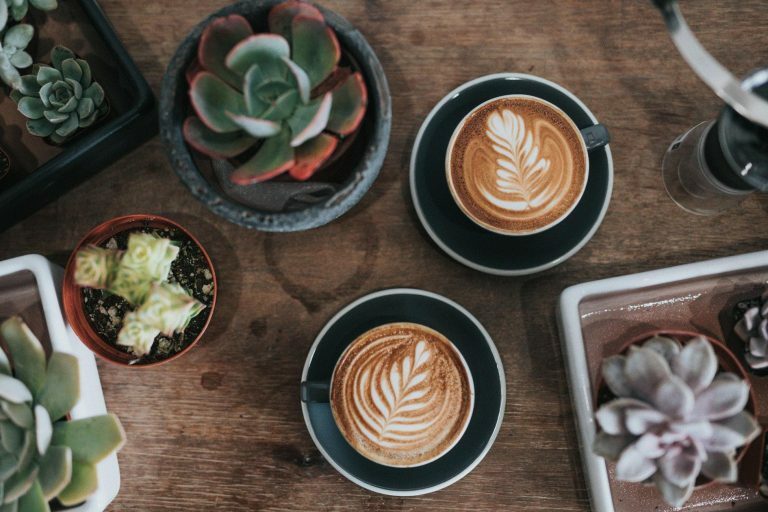 Do you prefer your lattes straight from the coffee shop or are you ready to invest in your own latte machine? Which one is your personal favorite so far? Let us know in the comments!